There is probably no better time for manufacturing industry to use technology. Manufacturers have solid financial and efficiency gains by moving their businesses towards digital automation and advanced technologies. Efficiencies in all levels of manufacturing from the initial supply of raw material to the final step of the production of goods reduce cost, increase production and overall improve the bottom line. If your back-office systems, ERP, inventory, and accounting systems are down or non-functional the impact across your entire company is significant. The loss doesn’t stop with the missed opportunity to produce more product. The amount of loss including time and wages of employees, dissatisfied customers due to missed deadlines all add to the total cost of down systems. Having an efficient & monitored IT systems and processes help minimize any downtime. Documented processes allow the scheduling of proper maintenance and support during times of low or minimal productions. Effective change control along with good documentation and industry best practices helps minimize downtime. Good manufacturing process are achieved by minimizing un-scheduled outages. Automation and technology help make manufacturing process less cumbersome, and more efficient. IT allows the near Realtime delivery of information and insight in to processes in the business. Quick visibility and seamless innovations help push your company in to the future. Is it all about efficiency, what about security? Proprietary manufacturing processes are key in separating successful companies from their counterparts. The protection of the information, documented processes and intellectual properties are all subject to theft and distribution. Proper protection of the network and electronic borders of a company can protect and log access of any intentional or un-intentional breach of data. Good security measures require the continuous monitoring and updating of systems and solutions to protect data while staying one step ahead of the most current threats. Concerned about the complexity and interconnectivity between you and your business partners. Secure your communications from vendors and client companies in order to expedite transfer of information and reduce the sales life-cycle. Increased regulation from EPA, FDA, OSHA and other regulatory agencies require documentation and security of data across your organizations. This ensures that proper compliance is adhered to from your supplier all the way through the delivery of product to your clients. Proper cyber-security measures can prevent or minimize legal costs, compliance fines and brand erosion. SNC2 provides a full set of IT services that cover everything from the end workstations, through the network, servers, into the cloud. Ongoing education of staff in the most current technologies allows our clients to benefit from state-of-the-art advances while minimizing their in-house spend on IT staff. Our client’s can take advantage of outsourcing the mundane and labor-intensive maintenance of systems so that their staff can focus on important projects. Our staff can step in to assist your IT with new projects and installs which they may have little experience with. We are an expert in new server technologies, cloud migrations, security and data protection. 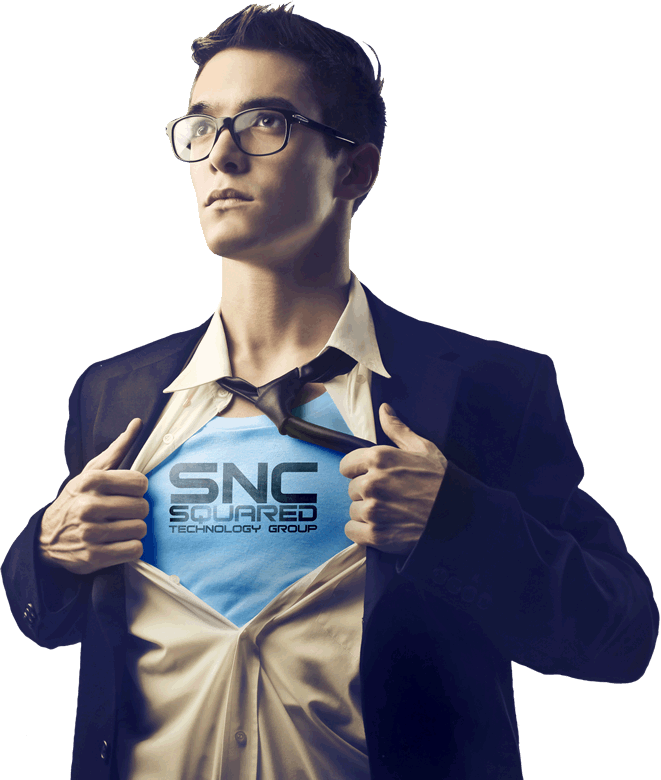 SNC2 can provide the exact IT solutions that your company needs.